Seated at the table are Dolores Latta (mother), Duane Latta (father), Erma Latta (grandmother), and O.E. Latta (grandfather). 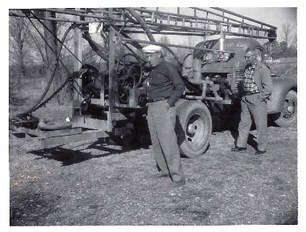 They were already operating a thriving water well drilling and pump service business in Riverside, Iowa. 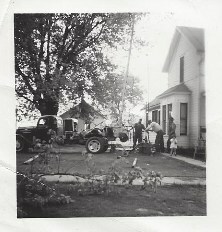 Lucky Latta Pump Service was started by O.E. 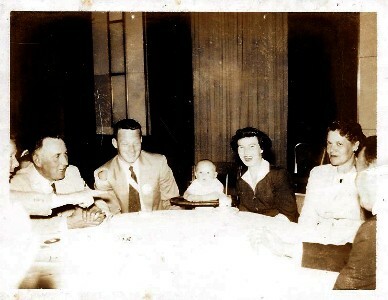 Latta’s father Pearl Latta and Carl Lucky in 1937. I grew up knowing this was my calling, and for the past 60 years I have been working to make water happen. 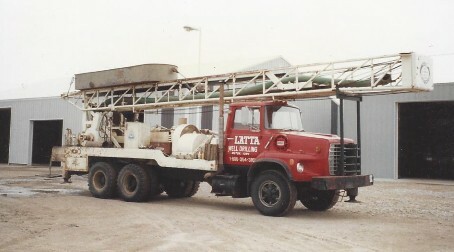 In 1978, along with my brother Kirk and dad, we branched out to start a new drilling and pump business in Wilton, Iowa; Latta Well & Pump. We purchased a piece of property just east of town on Highway 6 and erected a pole building. 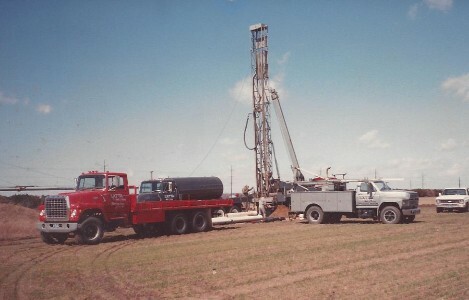 We bought a used drill rig, twenty-five pumps, and a pump truck to get us started. Later that year we also purchased a trencher and “We were in business”. My Dad had started experimenting with PVC pipe as well casing before our move to Wilton. Shortly after getting established we were successfully installing it in our water wells. At the time we were the only drillers for miles using it. Now almost all competitors use it exclusively for domestic water production. 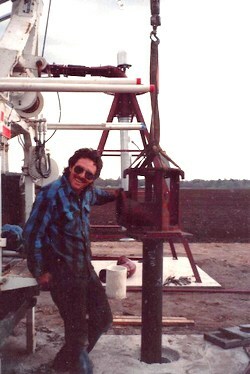 We drilled some of our first 10” PVC irrigation wells using slotted PVC Sand screen in 1980 and had impressive results. Along with high capacity wells came high volume pumps and we became proficient in their application and installation. We’ve seen steady growth since inception and have evolved. Today we have tripled our employees, have two drill rigs to produce wells, four pump service trucks, two trenchers and a mini excavator. When it comes to water, we do it all! Although my father is no longer with us and my brother has retired, we have new leadership to continue to move us forward into the Twenty First Century. Kurt Hartman and Austen Stoll have stepped up to carry the business forward with me still there to help. We also have Latta Sales side of our business where we offer a complete line of pumps, pipe, pressure tanks and all related accessories to supply all of your water system needs.